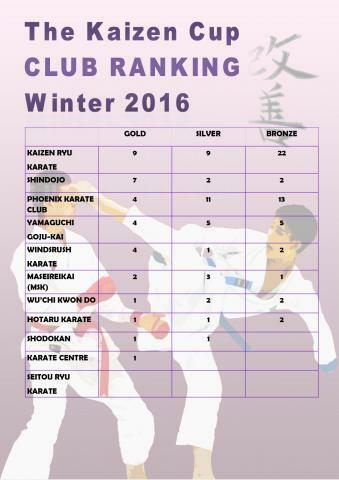 Congratulations and well done to all the competitors who competed at Sunday's Kaizen Cup Winter Championships. The day was a competitive, friendly and a fun way of testing their skills against some of the very best karate ka around the country. The Kaizen Cup is one of the popular tournament in the South of England competition circuit and is gaining popularity.